Ricky John Best was one of two men who died at the hands of a white supremacist on a Portland train last week. Best intervened when he saw the terrorist, 35-year-old Jeremy Christian, shouting hateful things at Muslim teen girls on the train. But Best suffered another indignity after being stabbed to death by the unrepentant terrorist: His backpack and wedding ring were stolen off his dead body. According to police, Best’s loved ones just want his possessions back, describing them as important to the family. Portland Police have released surveillance footage of the man who they believe took his things. 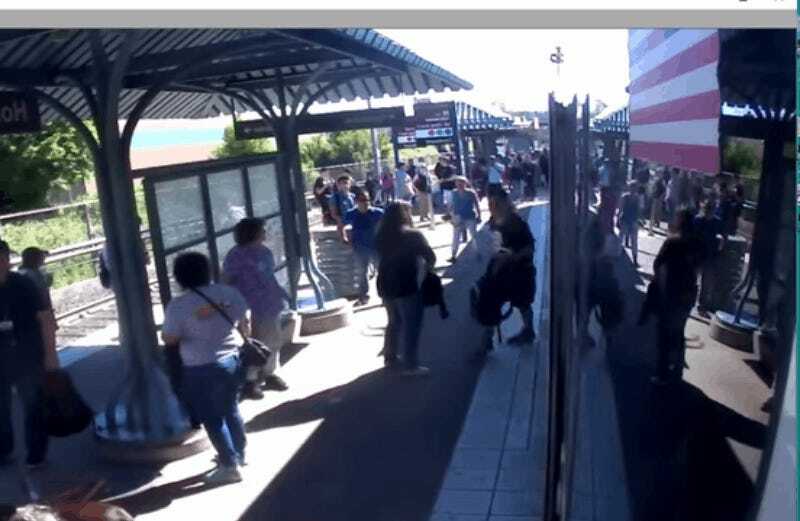 The suspect is captured on surveillance video leaving the MAX train carrying Best’s black backpack in his right hand. 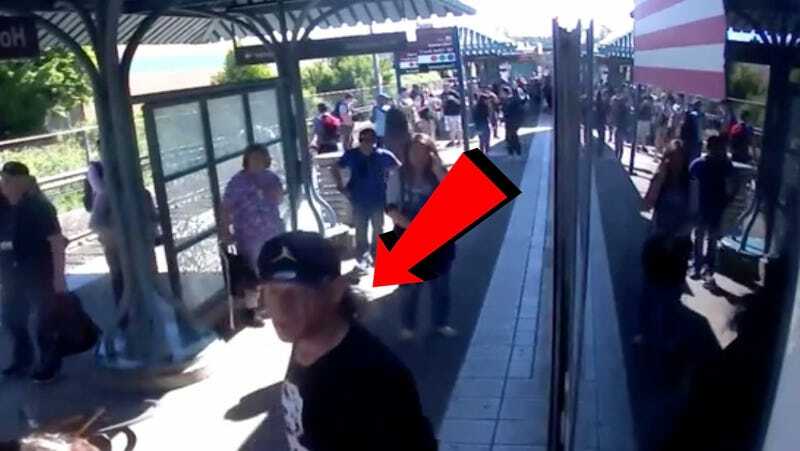 The suspect is described as a white male with a blonde hair mullet, wearing a black Jordan Brand baseball cap, a black t-shirt featuring an image of Marilyn Monroe and an American flag, black shorts, and black shoes. The suspect carrying another backpack in his left hand, unknown if it his. Best, a 53-year-old Army veteran and father of four, was one of three men stabbed that day. Another man, 23-year-old Taliesin Namkai-Meche, was also stabbed to death, though 21-year-old Micah David-Cole Fletcher survived the ordeal with wounds to his torso and neck. Anyone with information about the identity of the person in the surveillance video is encouraged to contact Detective Mitch Hergert at his email address: mitchell.hergert@portlandoregon.gov. Update: 10:38am: According to the Portland Police Twitter account, they caught the guy they were looking for.